Early voting ended today and it is good news for Republicans in Davidson County. There were 28,400 votes cast in early voting. Republicans head into Thursday's election with a 2,100 vote margin! This is impressive in two ways. First, this is a heavy voter turnout. I don't have the numbers for previous elections but I think this is considerably greater than the number of people who normally vote in the State primary and County general election. Second, Republicans are outvoting Democrats! Again, I don't have the figures but my impression is that normally the vote is about two-to-one Democrat. I hate to say, "I told you so" but when I was arguing with Election Commission Chairman Lynn Greer that we needed to have early voting, he said voter turnout would be low and early voting beyond the one Howard School site was not justified. If it had not been for the people who rallied to the cause and demanded early voting we would not have had it. It is especially disappointing that in a Republican year, a Republican dominated election commission did not see the wisdom of having early voting. We owe a debt of gratitude to those citizen who lobbied for it and to those council members who responded to the voters and funded it. Many good Democrats and Republicans responded to the public demand and supported early voting and they had to overcome resistance from the election commission to do so. That is a shame. I enjoyed spending the day with these people and getting to know them. From Left to right: Larry Crim, Democrat District 60; Charles Williamson, Republican District 51; Rod Williams (me) campaigning for Eric Crafton; Jim Gotto, Republican Candidate District 60, Howard Luartes, campaigning for Lonnie Spivak. Jim Gotto chats with a voterI worked the polls yesterday and today at the Hermitage Library from opening until 12:30PM for Eric Crafton. It is hard, hot, tiring work but I enjoyed it. 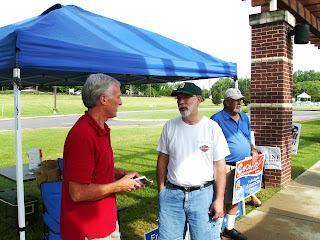 I enjoyed meeting the voters and telling them why they should support Eric. I also enjoyed working with the other poll workers. I enjoyed getting to meet new people and getting to know better some people I already knew. I especially enjoyed spending time with Charles Williamson who is running for House District 51 and Jim Gotto who is running for House District 60. Neither of them have opposition in the primary, but they were taking this opportunity to meet the voters. That will help them in November. I know a lot of people do not like campaign poll workers. They say they have their mind made up before they get to the polls and they are not going to change their mind on the way to the door of the voting place. That is great and I understand that. I agree that almost no one has their mind changed by a campaign worker at the polls, however a lot of people are still undecided at that point. A lot of people are influenced by the last person who talks to them on that walk to the voting place door or by the most persuasive person. A lot of people know who they are going to vote for at the top of the ticket especially, but have not given much thought to the other offices. A lot of elections are won at the polling place by the effort of campaign poll workers. I know I talked to people today who knew who they were going to vote for Governor, but did not even know there was an election for Juvenile Court Clerk. Hermitage Library was a heavy early voting site and a site that voted heavily Republican. Fifth district candidates Cece Heil and Lonnie Spivak each had an excellent poll worker. Howard Luartes worked for Lonnie Spivak and Darrell Chancellor worked for Cece Heil. I know that each of them got votes for their respective candidates today. If either of those candidates win by only a hand full of votes they need to thank their poll worker. Cece and her husband Rick and their two children and some other supporters showed up today and stayed for about an hour. Cece made the rounds of all the early voting sites today. Ben and Phyllis West were among those accompanying Cece. Ben West is the retiring Democrat Representative who represents District 60, the district where Jim Gotto is running as a Republican to succeed him. I understand that yesterday afternoon Phyllis West worked the poll for Cece. Phyllis is charming and enthusiastic and well known. I am sure she has swayed a lot of votes for Cece. None of the other candidates came by this polling place while I was there and none of them had campaign poll workers. I am really surprised that Jeff Hartline had no presence at the polls. Since Jeff has lead in fund raising and has been perceived as the front runner, I would have thought he would have had the organization and volunteers to man the polls. Maybe Jeff is not as strong as some have thought. The momentum is with us. We need to keep pushing and come out of this primary with a big lead. No matter who the nominee is, a big turnout now will improve our chances of beating Jim Cooper in November. I especially would like to see Eric win. For the other Republicans this is their primary but this is it for Eric. This is his general election. With Eric, we have a chance to break the strangle hold the Democrats have had on this county since the founding of Davidson County. Eric's office is the first domino. If Eric can win, we can take other seats next time and Davidson County can become competitive for Republicans. If you did not vote early please vote August 5, take someone else to vote with you, and if possible volunteer to work for Eric on August 5th and work the phone banks for him Monday, Tuesday and Wednesday. Momentum is with us; keep it up. Can we really be surprised that the first voices praising the decision came from the ACLU and the Mexican government? So, let me get this straight? If someone is arrested for murder, then, while in jail awaiting to be tried, it somehow limits his/her liberty to run a 30 second computer check to determine if he/she is in the U.S.A. legally? This is exactly the kind of nonsense we have come to expect from liberal, activist judges. If a crime is committed and law enforcement officials do their job, then they (and we!) are the bad guys for checking to see if someone is in this country legally. Preposterous! My stance on the illegal immigration issue has not changed. Today I again state publicly that I not only stand with the state of Arizona, but also with the rule of law and the U.S. Constitution. As your Congressman, I will fight to pass legislation reaffirming federal law requiring all legal immigrants to carry the appropriate documentation and also allowing state and local law enforcement officers to check the immigration status of all that have been engaged in lawful stop, detention or arrest situations. Given the past failures of the judicial system in this area, Congress should also use its Constitutional authority to restrict the courts from ruling on this law and thereby negate the power of activist judges to block immigration-related legislation. Please review my complete plan to stop illegal immigration at www.beatcooper.com. 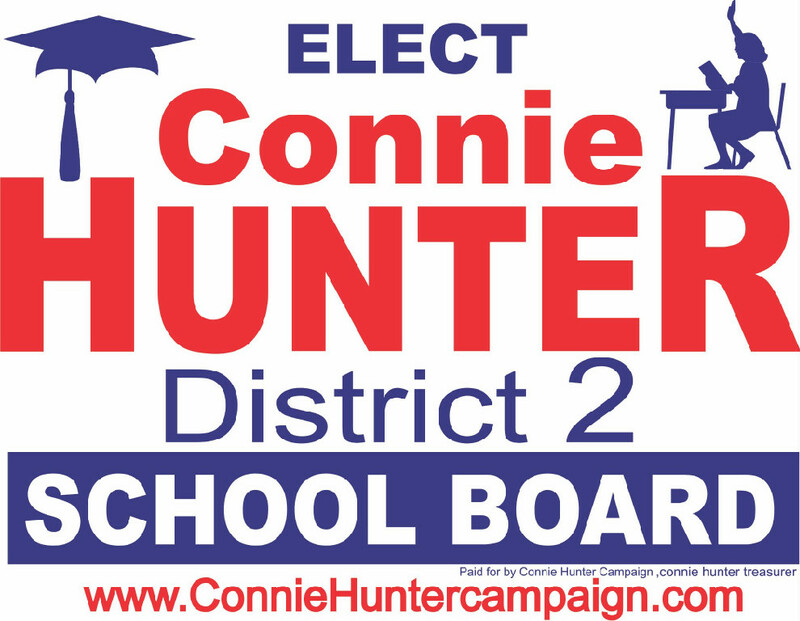 If you live in School Board District 2, please vote for Connie Hunter. District 2 is that part of the county between I-24 and I-65 south of Harding Place. While the attention in the upcoming election has been focused on the governor’s race and the 5th Congressional distinct, other important elections are also taking place and one of the most important elections is the election for Metro School Board. Metro Schools are failing us and the dropout rate is much too high. Public education in Nashville is an embarrassment. It is imperative that we elect good people to the School Board. Connie Hunter is a solid conservative and a strong advocate for high educational standards. She supports raising entry level teacher salaries, a strict disciplinary policy, support for principals and their individual school goals, parental involvement and parental choice. Connie needs volunteers and contributions in these last days of her campaign and, if you live in District 2, she needs your vote. I just visited her website and made a campaign contribution. Visit her website to learn more about her stand on the issues and to help her candidacy. I am working the polls for Eric Crafton. 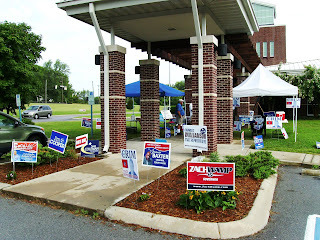 On Friday, I will be working the polls at the Hermitage library early voting site. I will be there from opening until about 12:30. I will be waving an Eric Crafton sign and urging people to vote for Eric. Stop by and say hi. I also plan to work Saturday but am not sure where I will be. If you would like to help work the polls for Eric, click this link and sign up: Volunteer to Help Eric. We talked last week about Liberal Activist Democrat Councilman Ronnie Steine's wanting to teach Davidson County Republicans a lesson by insuring I suffered an overwhelming defeat in my bid to become Juvenile Court Clerk and Nashville's first republican constitutional office holder. Ronnie thinks these offices belong only to democrats, and that's why he had the State Democratic Party send out a countywide mail piece for my opponent at an estimated cost in excess of $15,000! Despite everything they are saying and doing to defeat us, we are truly on the verge of something spectacular! If we do not grow weary, and if we continue running this race through to the finish line we will win. The first ten days of early voting show that republicans and democrats are running "neck and neck." To win, we must continue getting our people to the polls. That's why I'm asking you to participate in a "get out the vote drive" called EACH ONE REACH ONE. All you have to do is commit to making sure at least one other person besides yourself goes to the polls and votes. That's it. Very simple. I have also included the early voting schedule below for your convienience. Remember, EACH ONE REACH ONE! This is our time to make a statement that will shake Nashville 's current political paradigm down to its very core. Together we truly can make a difference! Read the story above. This is a shame. I was initially opposed to this law when it allowed the police to demand papers of anyone who had a lawful "contact" with the police. We must not abandon constitutional protections out of frustration. Since"contact" was changed to "stop, detention or arrest" and some other minor changes were made in the law, I have been fully supportive. As amended, this law would achieve a laudable goal without infringing on constitutional rights. As amended, this was good law. If the federal government will not enforce the laws, then I think the states should. We must stop illegal immigration. Can this ruling be appealed? What are the chances of success? What next? Click here to read the Arizona immigration law. This shows the original and the amended version of the law. I want to be the 40th vote. Assuming the Republican Party can retain every seat it currently holds in the U.S. House of Representatives, we would regain a majority in the House by one vote if 40 new conservatives were elected in November. This is a critical number for working families across America because this number will guarantee that a conservative majority controls the checkbook, debit and credit cards for the government. While Jim Cooper, our current Representative, votes consistently on increased federal spending with Speaker Nancy Pelosi, unemployment remains high in Tennessee, resting at 10.1% through June. Some reports across the country speculate that unemployment is actually much higher and that many who were looking for work have simply stopped looking. And while nationally the real unemployment rate is estimated to be somewhere around 16.5%, the federal government continues its government-centered attempts at job creation while raising taxes and burdening small businesses, the real engine of job creation, with a mind boggling array of new regulations. A poll released by the Tennessean this week indicates that 54% of Tennesseans are most concerned about jobs and the economy. The People have spoken, and yet. Rep. Jim Cooper voted to pass a stimulus bill that provided a reported $870 million to Tennessee’s Fifth District and created only 10,518 jobs through March 31st as reported by recovery.gov, a government run transparency website. A February article in the Nashville City Paper referred to lower job numbers and a higher total amount, but also contains the caveat that many of the jobs created were government jobs. We know that more than half of Tennesseans believe jobs and our economy are the most important issues facing our state. It is clear that Rep. Cooper, his votes and his policies are making the situation worse. He and his political party have failed Americans. While Jim Cooper sells himself to the district as a fiscal conservative, he votes with the party that “deemed” a budget with a $1.47 trillion deficit for 2011. He votes with the party that passed a stimulus bill that will cost us $800 billion in borrowed money and that many believe has been a massive failure to actually create sustainable jobs. He has racked up trillions of dollars in debt and deficit spending and refuses to meet with his constituents in any open forum to explain if he can how these votes benefit Middle Tennesseans who are worried about their economic future. So what can 40 conservatives do for America? We will elect a new Speaker of the House that has the future of America and her citizens in mind. We will begin to rein in federal spending and reduce job killing regulations. We will work to extend the Bush Tax cuts so small businesses can have access to the capital they need to continue operating and providing jobs. We will begin the process of de-funding ObamaCare and moving toward a full repeal of the bill. We will work to improve our tax code and make the system more fair. It is time to send a New Voice for the People to Washington. The self-proclaimed “Strong Voice for Middle Tennessee” is obviously the Strong Voice for the Wrong things. I like Ron Ramsey and think he would make a great governor. He has concrete proposals for cutting the cost of state government and a vision for where he wants to take this state. He has made a great Lieutenant Governor. He is a solid conservative and he is ready to hit the ground running. However, I am disappointed to see Ron Ramsey pander to those who would deny First Amendment rights to Muslims. He does not go as far as Lou Ann Zelnik, but almost. He seems to argue that if we can delegitimize Islam then they would not have the benefit of First Amendment protection. Maybe he was unprepared for the question and maybe he was having a bad day but he needs to clarify his stand on Freedom of Religion. The Muslim faith is second largest religion in the world and the faith of one-fifth of the world's population. By calling a religion a cult does Ron Ramsey think that a religious group can lose their First Amendment protections? I grew up in a religious conservative environment where Catholicism was considered a cult. Is Mormonism a cult? Are Jehovah Witnesses part of a cult? Does the Church of Scientology get to have the benefit of First Amendment protection? One can advocate strict adherence to the laws of this country, vigilance against those who would do us harm, and take a strong stand against terrorism and still be an advocate of Freedom of Religion. Ron Ramsey needs to clarify how he stands on the First Amendment. I cannot support someone who loves the Second Amendment but is not also committed to the First Amendment. Ron, please clarify your position. WASHINGTON, D.C. FRC Action PAC, July 26, 2010, - FRC Action PAC, the political action committee connected to Family Research Council Action, endorses CeCe Heil for Congress representing Tennessee's 5th District. "CeCe Heil is a firm advocate for the family and the culture of life. We need Representatives who will have the passion and courage of Ms. Heil to defend the family against the anti-family agenda currently promoted in the House," said Tony Perkins, President of the Family Research Council and Chairman of FRC Action PAC. "I am convinced Ms. Heil will do just that." "As an experienced attorney, CeCe has demonstrated her commitment to protecting our constitutional liberties against the assaults of this Congress. She is a pro-family, pro-life candidate, and we are confident she will be strong on the issues that best uphold and strengthen families. "FRC Action PAC believes that CeCe Heil will work to stop the radical social agenda now before us. We are proud to support her candidacy," concluded Perkins. The Jeff Hartline for Congress campaign today released the results of a poll showing that, contrary to conventional wisdom, incumbent Congressman Jim Cooper is highly vulnerable to defeat this election cycle. The accompanying press release from Hartline for Congress makes the augment that Jeff Hartline is the only Republican candidate able to raise the funds to mount a serious general election campaign. Regardless of which candidate you support, this memo is good news. We can beat Jim Cooper! I have run into naysayers who say that we are wasting our time and that Cooper is unbeatable. A former member of the Davidson County Republican Party Executive Committee recently made this augment in response to a proposal posted on the 9-12 Project Nashville list serv. The proposal was to purchase anti Jim Cooper bill boards at prominent locations in Nashville and this former DCRP member discouraged this saying, "Jim Cooper is not beatable at this time." He went on to say, " this money is still better spent against a vulnerable liberal/Democrat or for an open seat in a swing district." And, "please don't waste your money on things that are not going to be fruitful and produce results. That would be a tragedy." This naysayer listed his degree in marketing to add weight to his advice. Wilson Research Strategies is the firm that conducted the poll showing Jim Cooper is venerable. WSR is a reputable public relations firm and has done work for over 100 of the Fortune 500 and been involved in work for over 100 current and former members of Congress. 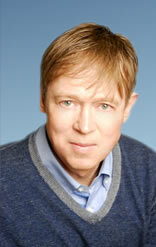 Chris Wilson, the CEO, has an extensive background in campaign strategy, political media, and message development. He has an extensive background in polling and consulting prior to starting his own firm. The analysis from WRS is not just wishful thinking. I am not certain that we can beat Jim Cooper. In politics one can never be certain but I am convinced that Cooper is vulnerable. I think that our candidate must present an alternative to the liberalism of Jim Cooper without coming off as extreme and our candidate needs to come out of the primary without having been bloodied excessively in the process and Republicans must open their wallet and fund our candidate. With the right message and money, I think we can beat Jim Cooper. Below is the Wilson Research Strategies memo. The highlighting is mine. This memo summarizes key findings from a poll of 300 likely general election voters in Tennessee’s Fifth Congressional District conducted March 22-23, 2010.  Voters in the 5th District are actively seeking an alternative to Jim Cooper. o Only 23% of voters are willing to re-elect Jim Cooper regardless of who runs against him.  WRS has found that incumbents who fail to achieve 30% on this measure tend to lose on Election Day. o More voters (25%) would vote to replace Cooper regardless of who his opponent was than are willing to commit to re-electing him. o Only 48% of voters say they would vote for Jim Cooper against a Republican candidate with almost no name identification.  With nothing to inform their decision other than their feelings about Cooper, less than half of voters are willing to support him. o The effectively “generic” Republican draws 33% of the vote—as sign of how pro-Republican this year may be and a further danger sign for Cooper.  The more voters learn about Jim Cooper, the less they like him. o After voters hear about Cooper’s healthcare vote, his vote for the Obama spending bill, and his cap-and trade vote only 38% would vote for him. o In particular, voters cited Cooper’s vote for healthcare (38%) and his record of voting with Washington liberals in spite of his claims of being a “blue dog” (24%) as the source of their hesitation to re-elect Cooper.  Cooper’s hypocrisy in saying he is a “blue dog” at home and voting like a Washington liberal in Congress is a powerful and damning narrative once voters hear it. A campaign with the resources to push that message has a high probability of success. Jim Cooper is that most common of species this year—an endangered Democrat. Cooper’s many liberal votes are enough to submarine his “blue dog” image and give a Republican an opening to capture the 5th District. If Jeff Hartline can get his message out to Tennessee voters and rebut the desperate attacks that both Cooper and the Washington Democratic establishment are sure to launch against him, he has a clear path to victory in November. Wilson Research Strategies conducted a research study of likely general election voters in Tennessee’s Fifth Congressional District. Respondents were contacted by phone via a live telephone operator interview March 22-23, 2010. The study has a sample size of n=300 likely general election voters. The margin of error is equal to ±5.7% in 95 out of 100 cases. The sample was stratified to represent the district electorate based on race, age, gender, partisan identification, and geographic distribution. Since 1998, WRS has been a leading provider of political polling for campaigns from Mayor and City Council to Governor and U.S. Senate in 47 states and several foreign countries. In 2007-2008 alone, WRS conducted polling in 252 races for campaigns, caucuses and independent expenditures efforts. In addition to our political and policy research, WRS provides donor research to Christian and other not-for-profits and alumni research to colleges and universities. More than 200 Christian and other not-for-profit organizations around the country and dozens of large and small colleges and universities have relied on WRS’s data and analysis. WRS’s corporate research arm has provided market research to more than 100 of the Fortune 500 and to hundreds of small and medium businesses nationwide. The City Paper analyses the 5th Congressional race. Cece Heil is the "biggest splash of the season" and was helped by the Sarah Palin endorsement but that endorsement will hurt her in the general election if she is the nominee. Jeff Hartline is still favored but has been hurt by the controversy of paying himself a salary and some other things. Bob Schwartz is the most effective public speakers but lacks the resource to compete. No other candidates are mentioned. I think that is an accurate assessment. This is a great movie! It explores issues of loyalty and faith and international Jihad. It is a fast-moving, edge-of-your-seat thriller and is playing now on cable at Encore on Demand, which I am now getting for free in what I assume is a promotional offer. 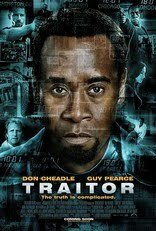 I highly recommended this movie. The time is long overdue to discuss the real status of entitlement programs, including: Social Security, Medicare and, also, pensions for government workers. These "safety net" programs have been so poorly managed that they are now at or near bankruptcy. This threatens to significantly affect the lives of millions of Americans. First, Congress should be tasked with creating and approving a plan by 2012 that brings the nation’s safety net programs into balance. Social Security and Medicare should receive the highest priority. With respect to Social Security, a shell game was created in the 1960s that has been perpetuated by Democrat and Republican politicians ever since. Social Security was removed from the annual budget and a second set of books was created. This allowed career politicians to “borrow” from the surplus of Social Security and spend it on other programs. The money has never been repaid. Al Gore's infamous "lock box" of the 1990s turned out to be just another game played by Washington. There was no lock on the box and the box itself now holds only IOUs. Social Security must be returned to the annual budget so it can be accounted for just like all other programs. Politicians must then make the difficult choices that have been clear for a long time: (1) reduce the level of benefits for all recipients, (2) institute means testing based on assets at retirement, (3) raise the age for receipt of full benefits and/or (4) increase the tax on those working to make up the shortfall. I support an immediate freeze on the current level of benefits while Congress considers the other options. I likely will oppose implementation of some of the options above, such as a tax increase, but all options must be on the table for discussion as Congress works to meet its 2010 goal. Medicare is the second large safety net program that requires immediate attention. Unlike my primary opponents Jeff Hartline and CeCe Heil, I do not call for the elimination of federal involvement in healthcare (e.g., Medicare, child health). Instead, I believe that these programs can and should be reformed to make sense for the 21st Century. Much of the needed reform can be accomplished by bringing free market principles into the healthcare marketplace. For example, managed care plans should be allowed to compete across State lines. In addition, healthcare providers should post quality and cost data allowing informed consumers to make decisions about their about healthcare purchases according to their own needs and priorities. In addition, incentives for wellness and meaningful Congressional audits to identify fraud, waste and abuse should be enacted. Please see the Policy section of www.BeatCooper.com for more detail on my ideas for healthcare reform. Finally, government employee pensions must be reconsidered. For example, a government worker who has contributed $300,000 over 30 years of services may receive more than $3,000,000 in pension benefits after retirement. This is simply unsustainable. A straightforward solution has already been designed by Chris Christie, the energetic and visionary new Governor of New Jersey. Under this plan, all pensions will be capped so no one can receive more than $50,000 per year in benefits and a maximum of $1,000,000 in lifetime benefits. deas like this must be considered as part of Congress’ mission to have created and approved a plan to bring our safety net programs into balance. Here in Tennessee, we make tough decisions on how to fund our priorities each year while keeping the budget in balance. This Volunteer attitude must be taken to Washington! We will show those within the Beltway that what has worked in Tennessee will work across the U.S.A. The application of commonsense conservative and free market ideas will restore the nation’s safety net programs to solvency, offer a level of security to Americans who have supported the programs for years and, all the while, will help to return our federal budget to balance. ONWARD! This is the most detailed, common sense, and thoughtful positions I have seen any of our candidates take on the question of entitlements or health care. It is pragmatic and moderate. Our other leading candidates have taken more absolutist position or have been short on details. Jeff Hartline says of entitlements, "I will work to begin the process of revising these entitlement programs. Specifically, Social Security must undergo radical revisions immediately or risk insolvency. The remaining programs must be gradually moved to the States individually." On health care he says, "I will work towards the elimination of Federal involvement in the provision of Health Care, except for the VA system." Cece Heil does not address entitlements directly but says of healthcare, "Healthcare is not a function of the federal government." Lonnie Spivak has a more general statement on health care and calls for repeal of Obamacare and for health care reform. He has left himself room to flesh out his position. He has not taken a position that he must explain or defend. Please visit the candidates websites linked above to see their full statements on these and other issue. Whoever the nominee is in August, he or she must win the votes of independents and some Democrats to win the election. While we might wish for someone with clearly stated minimalist government positions we do not need to be so dogmatic that we have no chance of winning the general election. Most people are in that broad middle. They do not have a well-defined political philosophy. If they feel we are moving too far to the left they may vote for someone to the right, but they are not ideologues of the left or the right. They will not vote for a "scary" Republican. The only reason we can hope to beat Jim Cooper is because people are concerned about the abrupt shift to the left in this nation. That does not mean they are ready to jettison Social Security or Medicare. Let us not forget Barry Goldwater who in 1964 advocated selling TVA, a position that I still thing was reasonable. Republicans abandoned him in droves and voted for Lyndon Johnson. Of course Goldwater also advocated some other "nutty" ideas, but the point being is that you cannot get too far in front of the electorate. Barry Goldwater only carried one state. To look at a more recent example, President George W. Bush soon after beating John Kerry, decided to spend his political capital pushing partial privatization of social security. He stressed that current beneficiaries would keep all their benefits, and that only younger Americans would get the privatization option. His proposal went over like a lead balloon. I was for it. I think it was a modest proposal, and would have been a step in the right direction but the public was not buying it. I really do believe we are a conservative nation, but part of the meaning of conservative is not an ideological meaning but a disposition. We are conservative in that we resist radical upheaval. We are conservative in that we favor slow measured steps and resist abrupt breaks with the past. I hope our leading candidates will clarify and moderate their position . To win in the general election they must reassure people that they are reasonable and thoughtful. Taking radical positions may win the primary, but it will doom your candidacy in the general election. I am committed to support whoever wins the primary but I am really not into tilting at windmills. 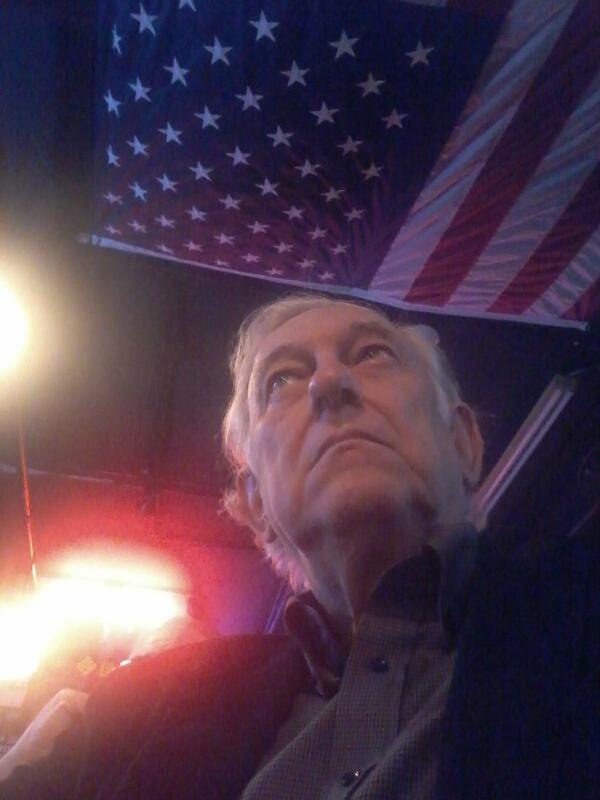 As I look at the candidates I am beginning to think that Bob Schwartz may be the candidate who could fare best in a general election battle against Jim Cooper. Fifty people gathered at Nero's Grill in Green Hills this morning for the Green Hills Republican Club, "Pastry and Politics" meeting. Special guest was Lt. Governor Ron Ramsey. Ron was informative, humorous, motivational and upbeat but did not hesitate to take on his Republican opponents for the nomination for Governor. He went after Haslam as weak on the second amendment and attacked Congressman Wamp as part of the Washington establishment that got us in the mess we are in. To read Mike Morrow's report on the meeting published in the Nashville Political Buzz Examiner click this link: Ramsey says Haslam pretending. Other guest speakers were three of the candidates for the 5th Congressional District seat, Lonnie Spivak, Bob Schwartz. and Jeff Hartline. Eric Crafton, Republican nominee for Juvenile Court Clerk also spoke. With such a full agenda, the meeting got started a little early this morning, beginning at 8:50 instead of the usual 9AM and ran just a little bit longer concluding at 10:30. People met to socialize and share coffee and pastry at 8:30. Many people hung around and visited with the candidates and each other after the meeting concluded. The Green Hills Republican club which has been meeting for four months, meets the fourth Saturday of the month at Nero's. The meeting organizers are Peter and Gail Vorsey. The next meeting of the Green Hills Club will be Saturday, August 28th. Special guest will be the Republican candidate for the 5th Congressional Distinct seat which will be determined in the August 5th primary. Please plan now to attend this important meeting to learn what you can do to help our candidate beat Jim Cooper. The Green Hills club is one of nine Republican groups that have monthly meeting throughout the county. For a complete listing of all of the groups and the scheduled speakers visit the Davidson County Republican Party website. Update: Dur's views has posted her report of today's event including pictures. It occurred to me yesterday that I work all day Monday and 1/2 of Tuesday for the Federal Government (my tax bill). This is the same for most Americans. Starting January 2011, We will be working all day Monday, all day Tuesday and small business owners will most likely be working all day Wednesday too. This is wrong on so many levels - I can't begin to explain. Have you ever thought of it this way - How many days each week do you have to work (if you are fortunate enough to have a job) to pay for the excesses of this Government? How many days do your Children have to work already to pay their share of this debt - Here's a hint - I make approx $40,000 / year - My portion of the debt and the unfunded liabilities means I have to work almost 12 years to pay my share - that means every single penny I make for the next 12 years doesn't really belong to me it is committed to the government. If that isn’t slavery, what is it? If we don't turn this around, how many years will our children have to work to pay this debt? Think of the dollars as seconds. 25,000 years since Neanderthals died out. I have had enough. WE HAVE GOT TO STOP THIS IN NOVEMBER and continue forward as long as it takes. We cannot afford our complacency of the past. We have got to educate the masses. We cannot be silent – We must speak out - in the line at Wal-Mart, waiting in the Doctor’s office, in the break room at work – every conversation must be about the fate of this great Republic. We cannot worry about what others may think about us, say about us, or to us …. I will not give up, give in or give out. Karen is a political activist in Nashville. She says about herself: I am a principled patriot, born again Christian, grateful for the Grace of God, doing everything I can think of to save our country. I am a T. O (theological offspring) proud to be a Tennessean, have been unemployed recently. Don’t know where I will work after 8/31 but still believe in the power of the American dream, if we can wrestle control from the socialists intent on destroying us. Update: Lonnie Spivak's and Patrick Miranda's reports are posted. Why has Vijay Kumar not filed a report? Second quarter Campaign Financial reports for the period ending June 30 have been filed and Cece Heil raised less money than expected. I kept hearing that she was going like gang busters and had some important people with deep pockets lining up behind her. Not that $58,000 is an insignificant amount of money, but I expected more. She does have billboards and TV advertising and mailings. She probably has enough money to get the job done and get her message out but reality did not line up with the hype. Not that the hype was generated from her camp, but there was a certain buzz that she was raising a lot of money. Maybe it was just me, but I expected her to rival Hartline in campaign contributions. Brendan Finucane has receipts of $75,325. He is no longer a candidate and his name is not on the ballot. David Hall reports receipts of $275, 968. He reports only $200 in individual contributions and list candidates contributions of $72,786 and "other contributions" of $202,983. Jeff Hartline shows receipts of $267,648. All of it was individual contributions except for about $4000. Cece Heil reports receipts of $58,054, all individual contributions. Bob Schwartz reports receipts of $10,710, all individual contributions. Tracy Tarum reported $380. Other candidates have either not filed a second quarter report, or perhaps it is not yet posted on the Federal Election Commission website. Jarod Scott reported $17,791 in the first quarter and does show a second quarter filing. Vijay has several large billboard around town and those cannot come cheap. Vijay Kumar: Where is your report? For comparison sake, Democrat incumbent Jim Cooper reports receipts of $618,531, of which $382,738 was individual contributions and $231,555 was PAC contributions. I am disappointed that our candidates are not better funded. Are our rich Republican still supporting Jim Cooper or are they waiting until there is a primary winner to open up? State Rep. Ben West Jr., who has represented the Hermitage area for the past 26 years as a Democrat has been seen at a lot of Republican functions recently enthusiastically supporting Republican Cece Heil for Congress. 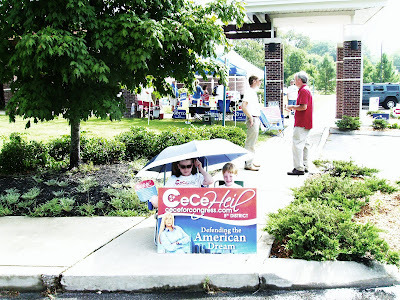 Ben's wife Phyllis wears a Cece for Congress t-shirt at the events and is an enthusiastic supporter of Cece. The Wests were at the Hermitage Egg and Bacon summit earlier this month for a debate between Cece Heil and Jeff Hartline. Ben spoke and was warmly received at the Republican gathering. Both Ben and Phyllis spoke endorsing Cece. After the meeting, I spoke to Ben and told him it was good to see him and he made a point of telling me, "Now, I'm still a Democrat." I also saw Ben and Phyllis at the Apollo School debate where I again spoke to Ben and told him he ought to just go ahead and switch parties and declare himself a Republican. Ben West is the last of a dying breed of conservative Democrats. Ben has always been fiscally responsible and conservative on social issues and has been an outspoken supporter of Second Amendment rights. I suspect that like a lot of conservative Democrats, he votes for Republicans at the national level but supports Democrats locally. The party lines have been quite blurred in Nashville. I am sure that many people who think of themselves as Republican always supported Ben West. Ben is greatly admired and respected. Now that he is not running for reelection, I wish he would come out and also support Jim Gotto who is running as Republican for the seat West now occupies. When a conservative votes for a Democrat that advances the liberal agenda even if the individual they vote for is a conservative Democrat. In redistricting and in committee assignments in the legislature and various other ways, a conservative Democrat is still part of the liberal machine and is advancing the cause of liberalism. I wish Ben would say, "I did not leave the Democrat Party, it left me and I can no longer be a Democrat." If he can't take that next step, he is nevertheless helping the Republican cause. A lot of Democrats will vote in the Republican primary thanks to the leadership of Ben and Phyllis West. Below is Ben West's press release explaining his sponsorship of an event for Cece Heil. 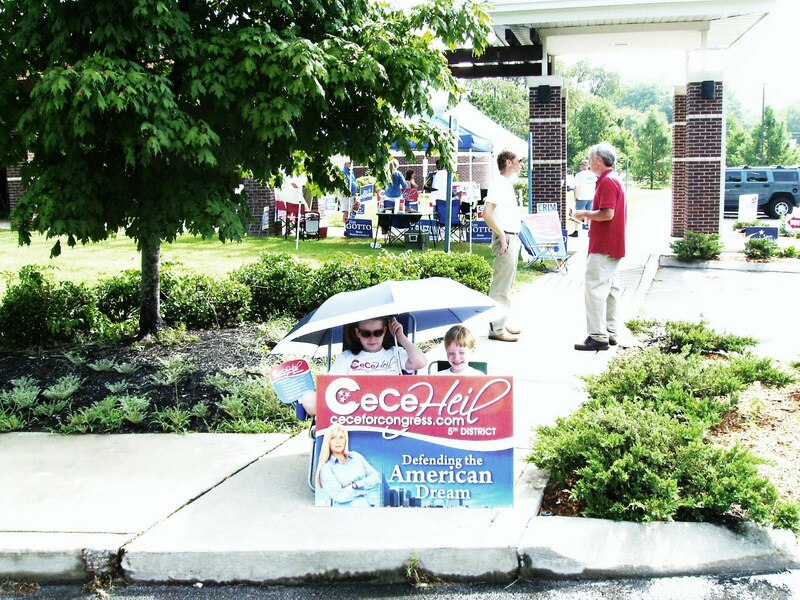 “Phyllis and I are proud to be co-hosts of the Old Fashioned Ice Cream Social at the Historic Buchanan Log House in Donelson on Sunday, July 25, 2010, 2-6 PM in honor of our friend CeCe Heil, who is running in the Primary for 5th District Congressional Seat. We are of the opinion that this country has been heading in the wrong direction; and that our voices have not been heard by our current representation regarding Congressional legislation. After looking at all the candidates in this race, it became abundantly clear t6hat CeCe has the leadership skills and the moral character needed today to be a leader in this country. She is a strong Constitution Conservative and successful business owner, a devoted wife and mother, and Christian. She believes in smaller government and lower taxes to boost this failing economy, so more people can be put on the payroll, rather than on unemployment rolls. She is opposed to ObamaCare and Government take over of Private industry; and so are we. CeCe’s most important attribute is that she wants input from her constituents. She believes firmly in the concept of “WE THE PEOPLE” running this country. Most importantly, we believe she has the ability to debate the issues with knowledge and intelligence, bring respect back to DC and garner the support to beat the incumbent. We would like for as many people as possible in the Davidson, Wilson and Cheatham Counties to come out, enjoy the fellowship and have the opportunity to meet CeCe and speak with her face to face.” – Ben West, Jr.
Meet Lt. Governor Ron Ramsey at Green Hills "Pastry and Politics"
Join us for the Green Hills"Pastry n Politics"
Driving through Oak Hill, Green Hills, and Belle Meade I am astounded to see all of the yards with both a Haslam and a Henry yard sign. You would think they were running as a team. Bill Haslam is the mayor of Knoxville and a candidate for the Republican nomination for Governor. Senator Henry is the incumbent Democrat Senator representing the 21st Senatorial district who is facing a primary challenge from Jeff Yarbro. On August 5th, one cannot vote for both Bill Haslam and Senator Henry. You only get to vote in one primary. Assuming that Haslam wins the Republican nomination for Governor and assume Henry wins the Democrat nomination for Senate, then in November you may vote for both. However, in August you cannot vote in both primaries. You must choose to vote in either in the Republican or the Democrat primary. I hope all those folks with Haslam signs in their yard will vote in the Republican primary. If you vote in the Republican primary then you will have a choice of who you would like to have as the Republican nominee to run against the Democrat nominee for the 21st Senate seat. There are two fine candidates running for the Republican nomination for the 21st Senatorial seat. They are Steve Dickerson and James Chesser. Please get to know these candidates and make an informed decision. The following questionnaire has been submitted to both of the candidates running in the Republican primary seeking the nomination for Republican candidate for Tennessee's 21st Senatorial District. This seat is now held by Senator Doug Henry. Doug Henry is being challenged in the Democratic primary by Jeff Yarbro. Whoever wins the Republican primary on August 5 will face the Democratic nominee in November. Tell me a little about yourself. Who are you? Where are you from? What do you do for a living? What is your educational background? Are you married? Tell me about any relevant church, community or political involvement. Do you have any political experience? Let me get the easy question out of the way first. Do you support a state income tax? Do you foresee any circumstances under which you could possibly support a state income tax? I do not support a state income tax; and I do not foresee any imminent threat to the state—short of catastrophic natural disaster or national emergency—where such a tax would be warranted. What do you see as the primary issues facing the State government? What policies do you advocate do deal with these issues? JOBS & EDUCATION: I’m about jobs, and educating people to do jobs. International opportunities, such as Nissan, don’t happen all by themselves. For 25 years I’ve brought high-tech, well-paying jobs into our area from other countries. Prosperity and economic growth come through jobs. LEADERSHIP & VISION: I have a vision for locally driven government: smaller, smarter and constitutional. My leadership experience in community, business, military, charity, and educational organizations will benefit everyone. Common people and common sense will have a greater voice. Through engaging and empowering more residents, volunteerism will grow, and government expenses will decrease. Let’s build a stronger community and more responsive government. This year the state legislature passed a bill allowing licensed gun permit holders to carry guns into bars. Despite an earlier attempt to draw a distinction between bars and restaurants, the final bill permits licensed gun permit holders to carry a gun into any establishment with a liquor license but would permit the owner of an establishment to prohibit guns on the premises of his or her establishment if the owner posts a prohibition. Would you have supported this bill? Yes, I believe in the Bill of Rights in its entirety—including a deserved respect for the Second Amendment, our greatest insurance policy for individual liberty. I also believe, however, that the bill could have been improved with better drafting so as not to have divided so many of our residents and to have been constitutionally stronger. Do you support the right to sell wine in grocery stores? The Senate this year passed a resolution placing on the November ballot a proposed constitutional amendment to protect the right of Tennesseans to hunt and fish. The vote was 90 in favor and none opposed. Our constitution does not contain a constitutional right to hike, bird watch, swim, ski or watch football. The motivation for amending the constitution to protect the right to hunt and fish is fear that at some future time animal rights activist will try to ban hunting and fishing. Do you think our constitution should be amended to provide a constitutional right to hunt and fish? Would you have supported this measure? Yes; after talking with Mike Butler, Executive Director of TWF, I believe that the amendment was researched and drafted so as not to create legal or constitutional problems for the state or landowners. The amendment is proactive in dealing with the possible encroachment of federal legislation into state residents’ rights to enjoy land and hunting & fishing rights in Tennessee. This year the State Legislature passed a bill that would requires jailers to give information to Immigration and Customs Enforcement if an inmate’s citizenship status cannot be determined. Would you have supported this bill? What actions, if any, do you think the state of Tennessee should take to curtail or punish illegal immigration? In response to the passage of Obamacare, which mandates that people purchase health insurance, the State Legislature almost passed the Tennessee Heath Care Act which says it is the public policy of this state that every person within this state is free to choose or decline to choose any health care services without penalty or threat of a penalty. Would you have supported this bill and if it comes back up next session will you support it? In 1991 an addition to Tennessee’s Real Estate Transfer Tax was designated to conserve land for parks, wildlife areas, greenways, cleaner water, and to preserve the natural beauty of Tennessee. In 2003 and again in 2008, this “designated” fund was taken to help balance the State’s general budget. This year the funds were restored. Would you have supported restoration of this fund? More generally, do you think that when a tax is designated for a specific purpose that it is proper to take those funds and apply them to the general fund? Yes. Absent, extraordinary circumstances or national emergencies, the state should do what it promises to do with collected funds. What is your view of the coal mining technique referred to as "mountain top removal?" Would you support efforts to ban this mining technique or do you think our mining regulations are adequate? I am against “mountain top removal”. I want to hear more from those who live closest to the problems created by this technique before commenting on our current state or federal regulations. In this year’s gubernatorial campaign, several of the Republican Gubernatorial candidates have been critical of state environmental regulation in Tennessee and Lt. Governor Ramsey has proclaimed the Tennessee Department of Environment and Conservation “out of control.” Do you agree? In general what is your view of conservation and environmental protection? I am not aware of information that indicates that our Department of Conservation is “out of control”. Within reasonable cost limitations, and common sense, I believe that the Republican party should always have a responsible environmental policy. The idea was posted on AmericaSpeakingOut.com today by House Republicans in response to calls from millions of Americans for such reform in Congress. Americans can go to the link, vote on the idea, make comments, and post ideas of their own for reforming Congress. The Hill has the details about Majority Leader Hoyer’s curt dismissal of the idea: “House Majority Leader Steny Hoyer (D-Md.) ridiculed on Thursday an effort pushed by Republicans to allow lawmakers more time to read legislation. Hoyer dismissed a proposal by House GOP Leader John Boehner (Ohio) and other Republicans to require 72 hours to read legislation before a final vote on it is scheduled. Boehner launched a ‘read the bill’ effort on Thursday to promote the GOP's proposed reform, which the minority leader has said would be a key reform he'd make should he become speaker of the House.“‘His hypothetical is so unreasonable ... that it doesn’t bear commenting on,’ Hoyer said, mocking Republicans' chances of taking back the House in this fall's elections, a development which would make Boehner speaker. ‘This is beating a drum that's not relevant,’ the second-ranking House Democrat said. ”Most Americans would beg to differ with Leader Hoyer’s assessment. In fact, a Sunlight Foundation petition endorsing a “72 hour rule” has received support from groups which represent both ends of the political spectrum. As House Republican Leader John Boehner (R-OH) said today, “One of the reasons why Americans have such little confidence in Congress is because of the practice of rushing massive, expensive bills to a vote without giving lawmakers or the American people time to read them. This is the people’s House: ‘read the bill’ should not be just an afterthought – it should be the first and only thought. Despite no voice, Cece roared. James Chesser and Steve Dickerson to Debate! Jeff Hartline and CeCe Heil to Debate!